Our food & the way we eat, combined with the exercise we take and other lifestyle factors, are key factors for our health and well-being. 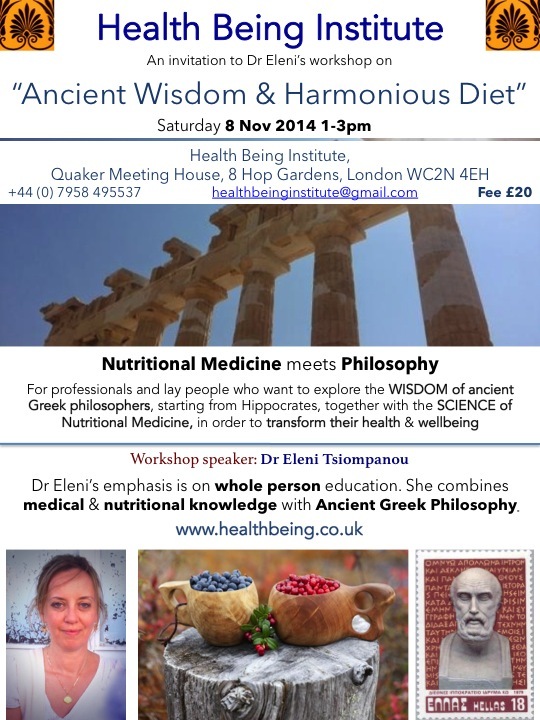 Come and learn in this 2 hour introductory workshop how to combine the wisdom of the ancient Greek philosopher & father of Medicine Hippocrates, with the science of Nutritional Medicine. 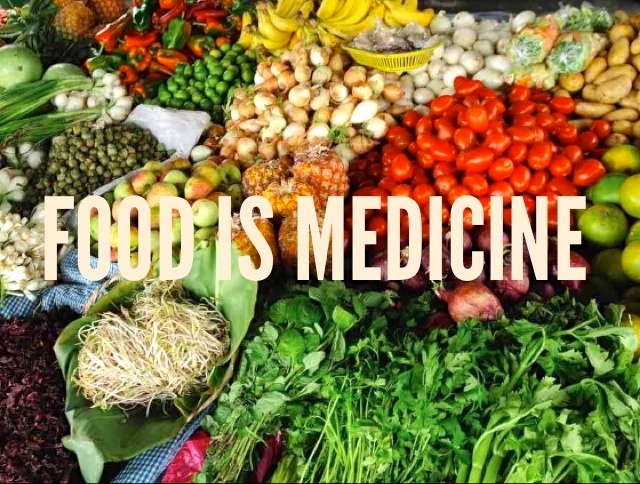 Use the lessons and aphorisms of Hippocrates and the knowledge of modern science to begin transforming your health and achieve a harmonious diet, lifestyle and way of being. Slowly but steadily healthcare professionals acknowledge the important role nutrition has to play in the management of people with cancer. I am going to talk about the two big systematic reviews which showed that current dietetic treatment of cancer patients has no evidence base. I will then ask the audience to consider ways forward. I will also offer my informed opinion on how we should be using diet and lifestyle to support people diagnosed with cancer: at the time of diagnosis, during their treatment, when they are cleared of any signs of cancer, when they are at the palliative stage and when they are dying. Nutritional and lifestyle medicine can be of huge help to cancer patients. The literature to support this is significant and the majority of people affected seeks ways to improve their diet and lifestyle, in parallel to their pharmacological treatment.